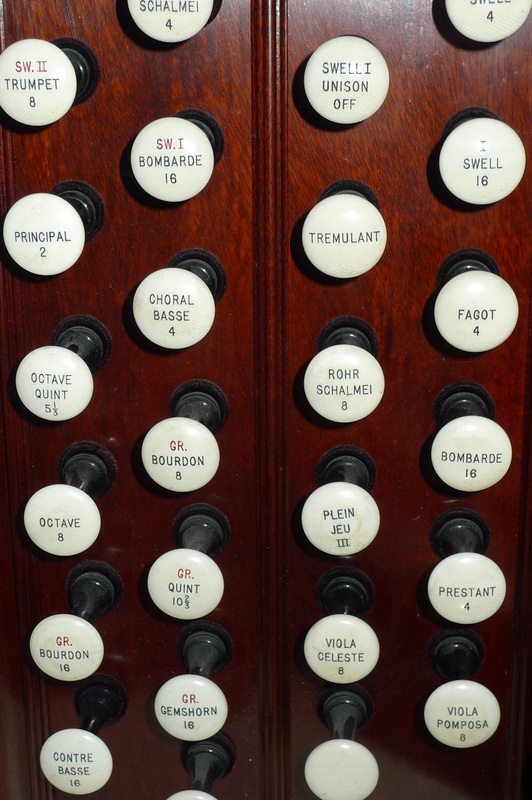 A special feature of worship at our church is the sound—both sweet and majestic—of the sanctuary organ. Expertly designed, placed, and voiced for the large dimensions and favorable acoustics of the worship space, the instrument is a regional gem admired by organists and organ builders alike. The organ, originally the generous gift of the Eldredge family, was built in 1956-57 by the Æolian-Skinner Organ Company of South Boston, at that time the pre-eminent builder in this country, with master craftsmen working under the influence of the legendary G. Donald Harrison, longtime president. Later addition of pipes to the instrument in 1966 realized the complete original plan. It is an instrument of 35 stops and 1500 individual pipes, some the size of a stub pencil and others 16’ in height. These pipes speak from two high chambers flanking the chancel of the sanctuary. They are disposed in four divisions and controlled by a two-manual console at the level of the choir. 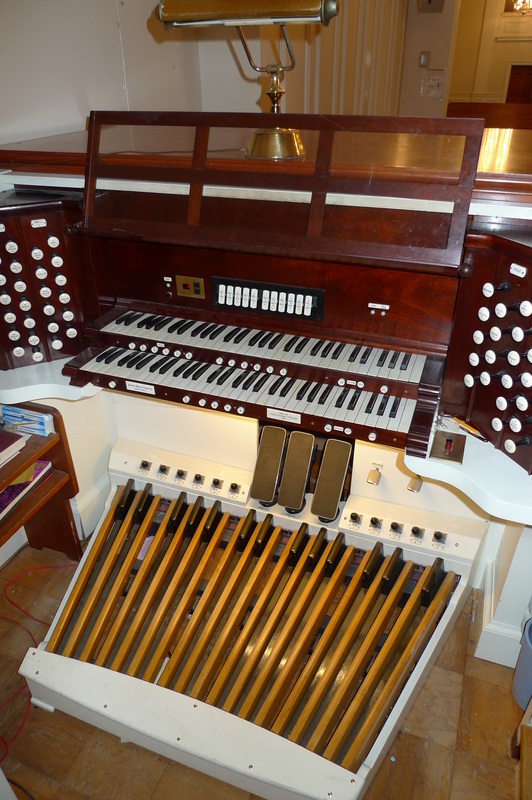 With the enthusiastic financial support of our congregation, the organ’s components and console received extensive necessary renovation—much of it painstaking hand work—between 1998 and 2007. It has now entered its second half-century of life and artistry and remains a blessing to the church and its members.